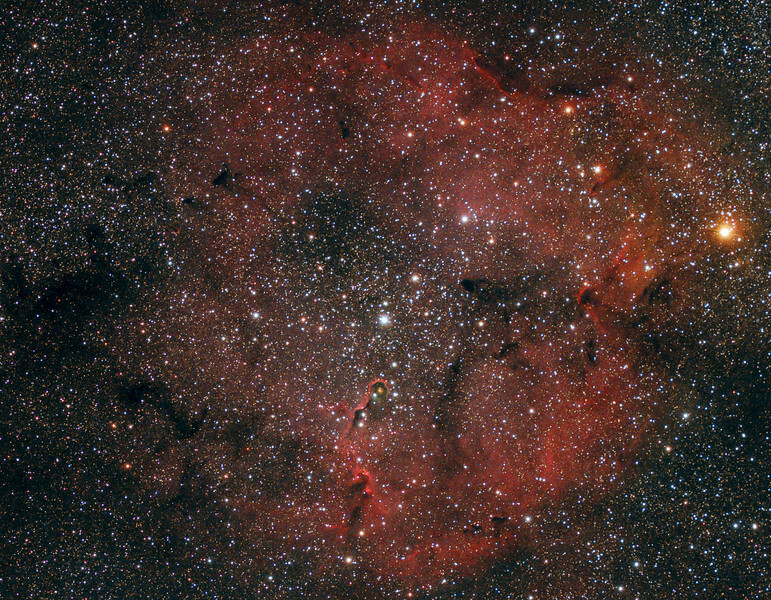 Elephant Trunk nebula and bright Garnet Star, 3 hours of exposure, Canon 6d modified 1600 ISO. Telescope TS71 @f5. Taken by Lynn Hilborn,WhistleStop Obs,Grafton,Ontario on September 17, 2015.